Not every contractor business grows to be the next Microsoft (or wants to), but equally not every contractor business fails. In some cases though, it might be that circumstances have changed and a set-up which might have ticked all the boxes a few years ago may no longer be the best way to carry on, writes Jason Piper, technical manger of tax and business law at the ACCA. For all the fact that the limited liability company is the vehicle of choice for many contractors (and in some cases the only option to actually get contracts), it does have some drawbacks as a business form, not least the record-keeping and tax implications. Historically though, once assets had passed into a company there was no tax neutral way to get them out into any other business form – incorporation was a one way street. However, until 2018 (or longer if it’s extended, as such measures often are) there is scope to reassess and restructure your business without suffering a tax charge on the accumulated value just at time of transfer. Disincorporation Relief is a Capital Gains Tax relief introduced by Sections 58 to 61 Finance Act 2013. It is available to small companies looking to convert from being a corporation to having the flexibility of being unincorporated, either as a sole trader or a partnership (though not a LLP). It would also be available to a group company looking to de-merge from the group, provided it met the criteria as a ‘qualifying business transfer’. The Relief creates a mirror image of the existing Incorporation Relief mechanism (found at Section 162 Taxation of Chargeable Gains Act 1992) by introducing sections 162B and C into the TCGA 1992. Where a company transfers its business to some or all of its shareholders and the transfer is a qualifying business transfer, a claim for Disincorporation Relief may be made. The relief postpones the immediate tax charge on transfer, and also helps to deal with the double taxation issue which might otherwise catch the owner of a small company on disposal of a chargeable asset. Without it, because the company and its shareholder(s) are connected parties, the transaction would have to take place at market values, and a tax charge could very well arise. The total market value (reasonable sale price on the open market) of the qualifying assets (goodwill and land) of the business included in the transfer does not exceed £100,000. Each of those shareholders held shares in the company throughout the period of 12 months ending with the business transfer date. A claim for disincorporation relief must be made jointly by the company and all the shareholders to whom the business is transferred. The claim is irrevocable and must be made within the two years beginning with the transfer date. If you have goodwill on the balance sheet of your company then specific valuation rules apply depending on whether it arose before or after April 2002. But if it is not specifically recognised in the accounts, then its transfer value will be nil. Once the sole trader has taken the assets on, the acquisition cost which they must use on any future disposal is the transfer figure under the claim. While the tax charge on the latent gains is deferred, it won’t disappear altogether. 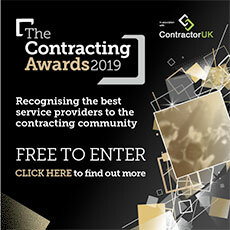 Finally, be aware that there’s nothing to stop contractors keeping a company as a trading vehicle for clients who insist on dealing with it, but you (the contractor) would still have the Companies House administrative burden, even if the tax return would become far simpler. But if you don’t need the company, then the additional flexibility and freedom of being a sole trader could be worth investigating while you won’t be hit with a tax bill just for a change of legal form.